The National Swimming Pool Foundation (NSPF) and the Association of Pool & Spa Professionals (APSP) will unify to form the Pool & Hot Tub Alliance. The unification was approved by the boards of directors of both organisations on January 18 and 19, respectively, and work is currently underway to establish and formalise governance, structure and operations. The unified organisation is scheduled to officially begin operations on April 1. The new organisation will operate with The Pool & Hot Tub Alliance as the umbrella, leading industrywide advocacy, alliances and promotions. Trade and foundation activities will be conducted separately for procedural and legal purposes, under the banners of The Pool & Hot Tub Professionals Association, and The Pool & Hot Tub Foundation, respectively. All three groups will be governed by a single board of directors to ensure sustained unity of mission and vision, and will be initially composed of five members each from the current boards of NSPF and APSP. Those members are: from APSP, Chris Curcio, Scott Frost, Rich Garbee, Andrew Levinson, and Donna Williams; and from NSPF, Rob Butcher, Karl Frykman, Franceen Gonzalez, James R. Mock, and Anita Sayed, Ph.D.
“Industry leaders and our members and stakeholders increasingly realised that as our industry has continued to evolve and grow, there was tremendous, uncaptured potential to maximise our collective investments and talents for the greater good,” says Lawrence (Larry) Caniglia, CEO of APSP, in explaining why the unification is taking place after a similar effort was abandoned in 2016. Caniglia, who had earlier told the APSP Board that he planned to retire in February 2019, has agreed to stay on as interim CEO of the consolidated organisation until the new board can hire a full-time, permanent CEO; and Mock has agreed to serve as The Pool & Hot Tub Foundation’s interim Executive Director. The new unified Board of Directors plans to hold its first, organisational meeting in mid-March to begin the longer term process of integration, with the goal of beginning the search for a permanent CEO, determining staffing requirements and locations for core services and programs. Integration efforts are expected to continue through 2019. “We, APSP and NSPF, are seizing the opportunity to have a greater impact,” says NSPF President Rob Butcher. Under the new Alliance, our combined resources will allow us to amplify and more effectively promote the fun and benefits of swimming, of being in the water, pools and hot tubs; we will be able to put more resources into water safety; and we will be able to better protect the interests of all our stakeholders and members,” he says. The leaders of both NSPF and APSP agreed that the new structure, with its Celebrate the Water mission, will offer greater community benefits by facilitating the expansion of swimming, water safety and related research and outreach activities aimed at introducing more people to swimming, making swimming environments safer, and keeping pools open to serve communities. In addition, the unified organisation will expand growth opportunities for aquatics professionals and businesses by promoting demand for swimming and increasing the efficient delivery of educational and training opportunities. Finally, by speaking with a single, united advocacy voice, The Pool & Hot Tub Alliance will be better positioned to protect the interests of the industry through an unprecedented and expanded network that includes both nationwide and international alliances and relationships. 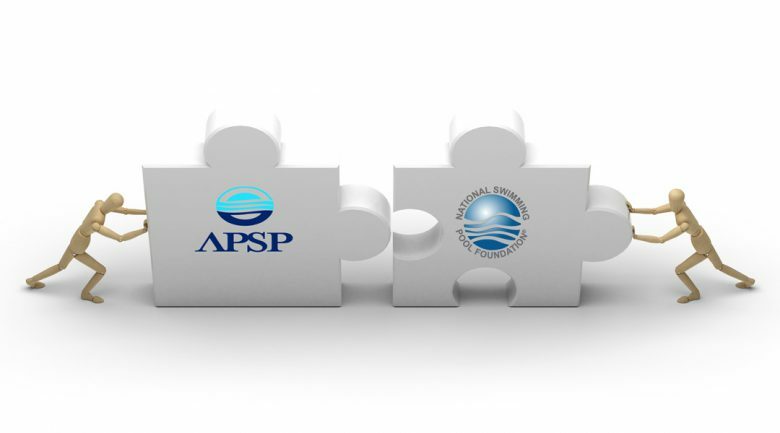 Under The Pool & Hot Tub Alliance, stakeholders and members of the two founding organisations will benefit from the full array of education, training, certification, advocacy, promotion, research, grantmaking and support services currently delivered by APSP and NSPF separately, while combining infrastructures, networks, affiliations, and resources, and eliminating duplication of programs to provide the greatest value and impact. The Pool & Hot Tub Professionals Association will be the 501(c)(6) trade organization to manage certifications, standards, volunteer workforce opportunities, awards and member services, while The Pool & Hot Tub Foundation will be the 501(c)(3) tax-exempt organisation to manage education, publications, research, fundraising, and grantmaking. To assist the new board of directors with the integration process, APSP and NSPF have established a unification working group task force, comprised of leaders from both organisations to finalie governing documents, develop branding and logos, appoint officers and begin developing enterprise-wide business strategies and plans that will include early communications with all members and stakeholders. 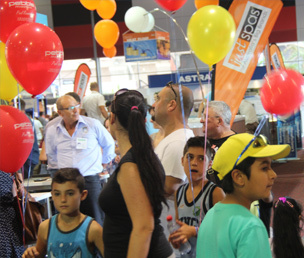 The two groups have agreed there will be no immediate changes to programming, including scheduled activities of chapters, councils, and 2019 events and trade shows, and services will continue to be provided by both staffs, which will remain in place at their current locations throughout the integration process. The Association of Pool & Spa Professionals (APSP) is the world’s oldest and largest association representing swimming pool, hot tub, and spa manufacturers, distributors, manufacturers’ agents, designers, builders, installers, suppliers, retailers, and service professionals. 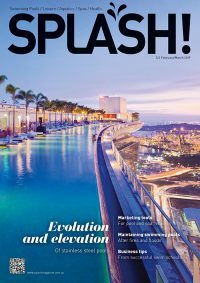 Dedicated to the growth and development of its members’ businesses and to promoting the enjoyment and safety of pools and spas, APSP offers a range of services, from professional development to advancing key legislation and regulation at the federal and local levels, to consumer outreach and public safety. APSP is the only industry organization recognized by the American National Standards Institute to develop and promote national standards for pools, hot tubs, and spas. For more information, visit APSP.org. We believe everything we do helps people live happier and healthier lives. Whether it’s encouraging more aquatic activity, making pools safer, or keeping pools open, we believe we can make a difference. Founded in 1965 as a 501(c)(3) non-profit and located in Colorado Springs, Colorado, NSPF proceeds go to fund education, research, and to help create swimmers. The NSPF family includes Genesis and the California Pool & Spa Association. Visit nspf.org.